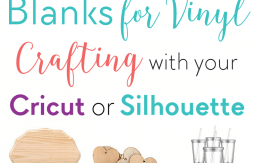 Blanks for Vinyl | Crafting with Your Cricut Explore/Maker or Silhouette Machines. https://cutthatdesign.com/wp-content/uploads/2018/02/Blanks-for-Vinyl-Crafting-with-Cricut-or-Silhouette.png 1102 732 Vicky https://cutthatdesign.com/wp-content/uploads/2018/10/Free-SVG-Files.png Vicky2018-02-22 22:19:232018-10-03 20:04:25Blanks for Vinyl | Crafting with Your Cricut Explore/Maker or Silhouette Machines. https://cutthatdesign.com/wp-content/uploads/2016/06/Blog-post-featured-image-Unzipping-in-windows-1.jpg 500 800 Vicky https://cutthatdesign.com/wp-content/uploads/2018/10/Free-SVG-Files.png Vicky2016-06-14 20:45:422018-09-08 21:51:16Unzipping SVG Cutting Files in Windows. 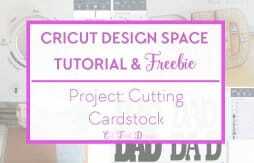 Cricut Explore Project: Cutting Cardstock + Free DAD card SVG & DXF File. https://cutthatdesign.com/wp-content/uploads/2016/06/Blog-post-featured-image-Cutting-card-stock-dad-card-CDS.jpg 500 800 Vicky https://cutthatdesign.com/wp-content/uploads/2018/10/Free-SVG-Files.png Vicky2016-06-02 06:00:422018-09-08 21:52:21Cricut Explore Project: Cutting Cardstock + Free DAD card SVG & DXF File.